Brace yourselves, Blunt fans! The one-and-only British heartthrob has announced concert dates for Guangzhou, Shanghai and Beijing this spring. The visit is part of the recording artist’s Afterlove Tour, a global, multi-month whirlwind that will span four continents and is set to kick off in Uruguay later this month. While the circuit is primarily intended to promote the singer-songwriter's latest album, The Afterlove, which was released last year, fans in China can still expect to hear plenty of their favorite classics. 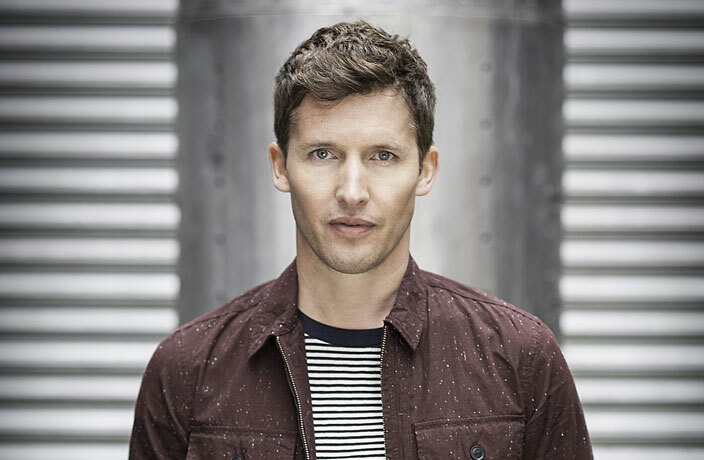 James Blunt’s mainland China dates will begin down south with an April 2 appearance at Guangzhou’s Sun Yat-sen Memorial Hall. Next, the Englishman will hit Shanghai’s Mercedes-Benz Arena on April 4 followed by a concert at Beijing’s LeSports Center in Wukesong on April 6. Despite the fact that these venues can each seat many thousands of spectators, tickets are expected to go fast, with some of the artist’s upcoming Australian dates already sold out, so Blunt fans should act quick to get a piece of the action. (Buy tickets for Blunt's Guangzhou show here, Beijing here, and Shanghai performance here). Seeing the man you always hoped would swoop down and ‘Carry You Home’ to a mythical place called Bedlam stand before you in the flesh? Sure, it’s gonna cost you a few hundred yuan. But, that feeling of floating away on a cloud of decade-old memories while being told that ‘You’re Beautiful’ in a trembling falsetto? That, dear reader, is priceless. Outside China? Watch James Blunt perform on YouTube. Guangzhou: Mon Apr 2, 8pm; RMB380-1,280. Sun Yat-sen Memorial Hall. See event listing. Tickets. Shanghai: Wed Apr 4, 8pm. Shanghai’s Mercedes-Benz Arena. See event listing. Tickets. Beijing: Fri Apr 6, 7.30-9.30pm; RMB280-1,280. LeSports Center. See event listing. Tickets. Your guide to this week's best concerts. Your guide to this week's best live music.